5 Free Activities This Winter in Whistler - Whistler Real Estate Ltd.
A trip to Whistler during peak ski season can be costly and many of the exciting activities on offer are expensive. However, Whistler is a very community-minded place, which is why you will find a great offering of free activities for locals and visitors alike throughout the year. Whistler offers plenty of free events and activities during Winter you just have to know the right place to look. Arts Whistler release their magazine the Arts Scene each season with a list of all the exciting events and cultural happenings on in Whistler Village and the surrounding Sea to Sky area. You can grab the latest copy from Arts Whistler headquarters at the Maury Young Arts Centre. Here is our selection of the top 5 free activities in Whistler this Winter. 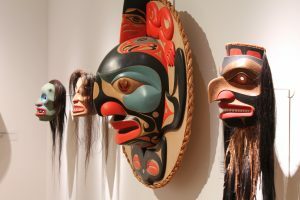 Take a self-guided tour with Whistler’s Cultural Connector, explore the extensive arts and culture scene in Whistler and the surrounding areas. Arts Whistler has curated Culture Paths which link together public art, galleries, heritage buildings, and businesses that support local artists (We Heart Local Art). This is a wonderful way to discover Whistlers arts and culture scene at your own pace. You can find these Culture Paths in the Arts Scene magazine or go digital and load them on your phone. Take a trip to the Whistler Animals Galore (WAG) and spend the day giving back by volunteering. 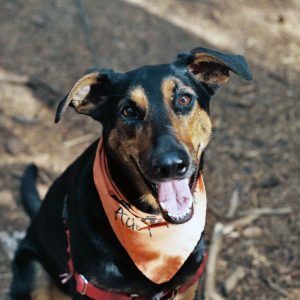 Get a dose of unconditional love from a small furry friend, the Whistler animal shelter take drop-in volunteers to help with cat and dog enrichment. This type of volunteer work includes dog walking, grooming and socialization. Drop in volunteer opportunities change daily at WAG so be sure to call ahead to see what they have available. Grab your skates and head down to the Whistler Olympic Plaza for free ice skating all throughout Winter. Experience the beloved Canadian tradition of ice skating in the heart of Whistler Village with beautiful views of the mountains. Rental skates are available for $6 with helmets available free of charge. The rink is open from 11 am to 8 pm from December 8 to March 31. Enjoy the exciting time of Winter in Whistler with family and friends at Whistler’s Family Après. Hosted at the Whistler Olympic Plaza, from 3 to 6 pm every Monday and Wednesday. This free event has different activities and local entertainers each week. Check in with the village hosts for more details on the event each week. 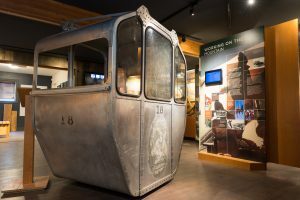 Experience the natural and human history of mountain life by taking a visit to the Whistler Museum! Learn all about the history of Whistler and Whistler’s journey from wilderness to world-class resort. This museum is an interactive fun experience where you can hold the Olympic torch and see what you would look like as a Winter Olympian. The by donation admission fee means it is an exciting activity for everyone to enjoy! Check out all of the events on in Whistler this month here.